Spiders, cockroaches, ants, rats, and moths: invasions by household pests induce cringing and exclamatory yelps. Many people want to prevent unwanted encounters with such pests and the destruction they may cause by putting out pesticides meant to deter or kill rodents and bugs. Consumers are driven by costs, effectiveness, and a concern for safety when choosing a pest-control product. The Environmental Protection Agency (EPA) emphasizes the safe use and regulation of poisons and pesticides used in the home. The Environmental Protection Agency requires all manufacturers of household pesticides to have an EPA registration number on the label. If a product does not have the registration on the label it may be an illegally imported product. Consumers should also be aware that some products are only meant for use by licensed commercial entities. Two illegal products that concern many poison control agencies are the so-called “Miraculous Chalk“, a pesticide originating in China, and “Tres Pasitos” a rat poison originating from Latin America. The insecticide chalk is troublesome because it is a cheap remedy that looks identical to the chalk used on blackboards, yet it is poisonous and poorly labeled. “Tres pasitos” is a made of aldicarb, an extremely toxic pesticide that has deleterious effects on humans through ingestion and even if absorbed through the skin. If handled improperly the products cause symptoms such as stomach pains, vomiting, and convulsions. Business are subject to penalties for each sale of an illegal pesticide. Consumers should also follow directions on approved products very carefully. For instance, the use of mothballs, usually made of naphthalene, can be dangerous if the not utilized correctly. The National Pesticide Information Center at Oregon State University advises that mothballs should be sealed with clothing in an airtight container. Mothballs left out in the open let off toxic fumes that are potentially dangerous to humans. Moreover, mothballs may appear to be food to children or pets. Ingestion of moth balls by a small child will lead to a scary trip to the emergency room. Furthermore, some mothballs are distributed illegally because the production and labeling of the mothballs were not overseen by the Environmental Protection Agency. The EPA and its Californian counterparts stress that it is illegal to use pesticides in a way other than specifically directed on the product label. This is especially of concern if a business is hired to apply insecticides to exterminate bugs. Commercial exterminators in California must be licensed by the California Department of Pesticide Regulation (CDPR). Consumers who are concerned with the methods or licensing of a commercial applicator of pesticides may file a complaint with the CDPR. The CDPR will investigate and work with a violating business to improve their procedures or, if necessary, take enforcement action against the business. 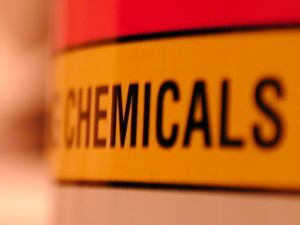 Consumers who have suffered physical harm from the misuse or illegal sale of dangerous pesticides may want to contact an attorney about recovering medical and other expenses. Greg Brod is an experienced toxic tort attorney serving communities in the San Francisco Bay Area and surrounding areas. Call the Brod Law Firm today for a free consultation.